Christmas is one of those holidays where people seem to feel the need to add green and red food coloring to everything to get into the holiday spirit. I certainly understand the appeal of wanting to present a colorful holiday table, but I just don’t see why we need to go adding chemicals to our food when there are plenty of things found in nature that will not only add color, they add flavor to the food as well. 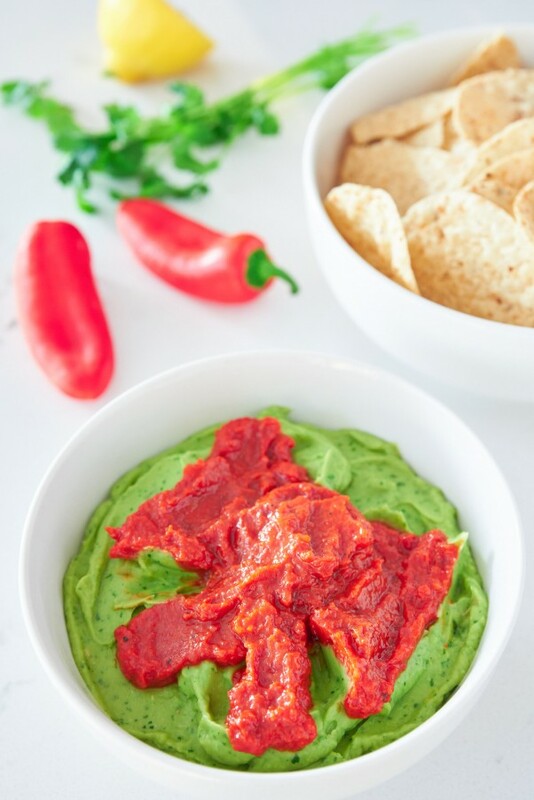 This easy double-dip features both a red dip and green dip which not only have contrasting colors, but they each have a unique texture and taste that are delicious on their own, but even better together. 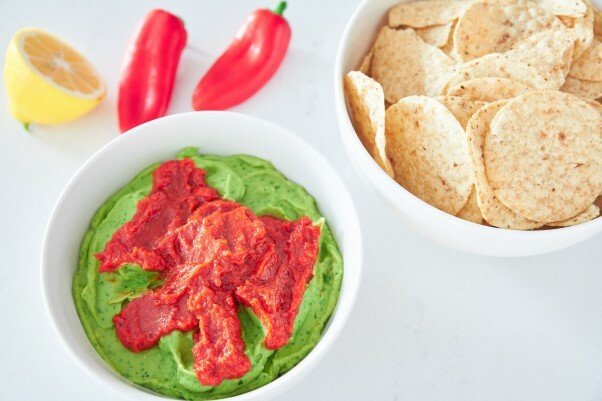 The red dip is smoky, tangy and sweet, made with roasted bell peppers and sundried tomatoes, with just a hint of red onion. The green dip, by contrast, is creamy and herbal with the bright flavor of Meyer lemon. I’ve used cilantro, which makes it taste a bit like guacamole, but this would be pretty amazing with basil, or flat-leaf parsley as well. As for the presentation, I’ve just done a simple bow in a bowl, but you could turn it into a wreath or Christmas tree, or do green and red stripes. If you really wanted to get elaborate, you could even put the dip in piping bags and pipe a design using the two colors. 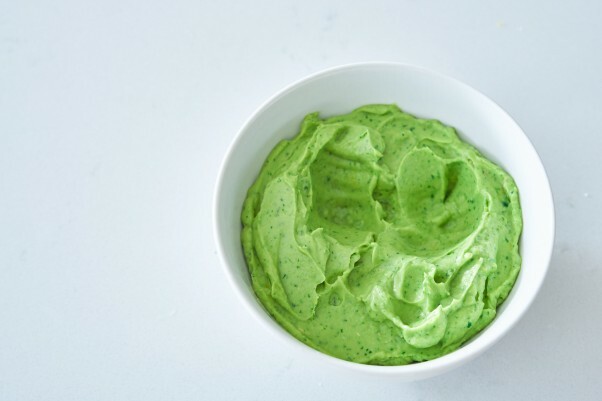 Make the green dip by adding the avocado, Meyer lemon zest, lemon juice, cilantro, and salt in the bowl of a food processor. Process until smooth and dark green. 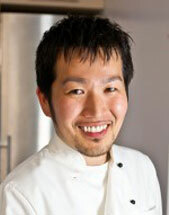 Adjust salt to taste. Spread the green dip into a serving bowl and press a piece of plastic wrap directly on the dip so that the dip is not touching air. This prevents the dip from discoloring. 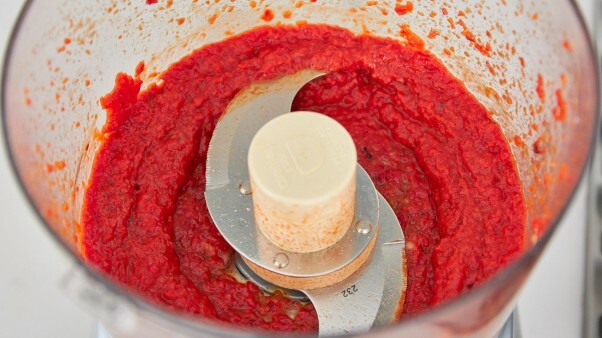 Make the red dip by adding the roasted red pepper, sun-dried tomatoes, red onion and salt to the bowl of a food processor and process until smooth. Adjust salt to taste. Make a bow-shaped series of divets in the green dip with a spoon and then fill them in with the red dip in the shape of a bow. Serve the dip with chips or bread.